In this first issue of Infernal Truth: The Demonology Magazine- Theologian and exorcist G.P. 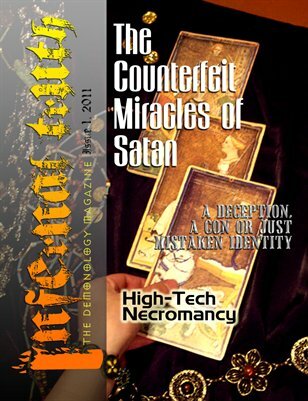 Haggart reveals the counterfeit miracles of Satan. Demonologist Jeanette Osborne describes how using investigative technology is no different than necromancy. UPI Founder Bill Vaile talks about the human spirit deception. Also, are you tired of being tired during an investigation? The Well's Women's Ministry leader Nancy Haggart has tips on how to get more energy to be active.